A.C.M. Laboratory offers a NATA accredited service for the calibration of the optical flats. The optical flats are measured in temperature controlled (20 ± 0.5 ˚C) laboratory using special equipment and method. 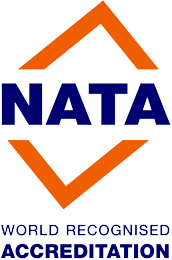 We are able to calibrate & issue NATA certificate on optical flats up to 70mm dia. for flatness. Please contact with us to discuss your requirements and book in your order. To enable us to provide you the accurate quotation, please provide the following information: size, single or both measuring faces, etc. We also can supply variety of optical flats, and we offer very competitive prices when purchased in conjunction with our calibration service.